On Sept. 5 middle school students participated in what division head Cindy Ellis called an “empathy developing experience” inspired by recent Hurricane Harvey-related events in Texas. Students were each given a card representing a group of people affected by the disaster. Students given red cards played the role of evacuees, while those with blue cards represented those who stayed in their homes and could not leave due to flooding. Students with green cards represented people who were not in immediate danger but were concerned for their loved ones and wanted to help. Facilitators led discussions with each group based on detailed scenarios that contained questions for the students. Red card holders posing as evacuees, for instance, imagined that their family had been forced to move temporarily to a much smaller living space than what they had grown accustomed to. As their scenario played out, they were asked questions about what they would leave behind, knowing that belongings left at home could be destroyed, and what a 12-hour drive to Austin might be like in a packed vehicle with bumper-to-bumper traffic. 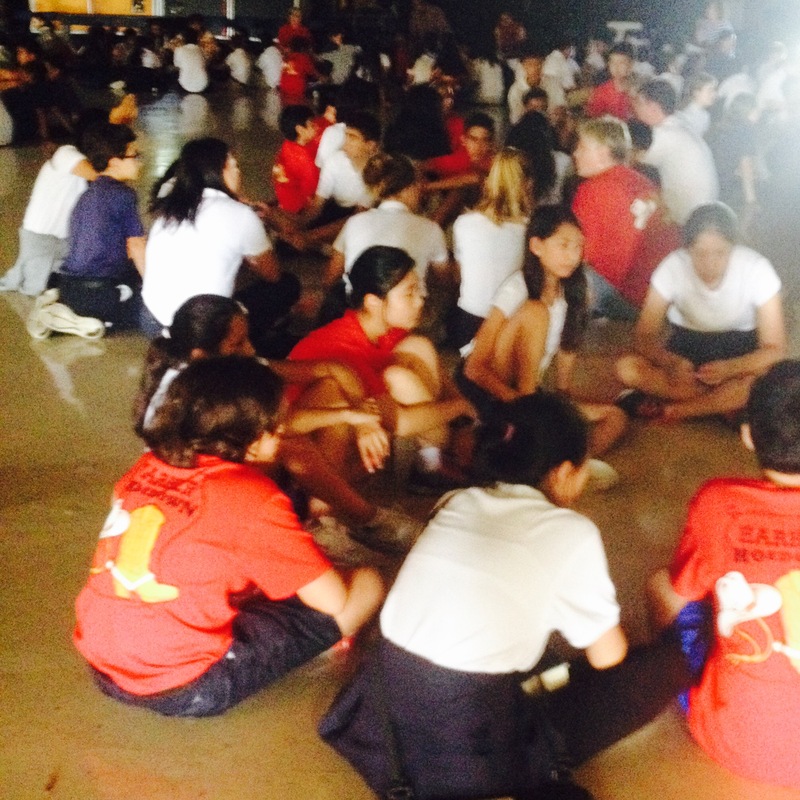 Later in the week, middle school advisories discussed what they had learned during the exercise. These discussions will be used to formulate ideas on how to help those affected by Hurricane Harvey. “We are trying to make this as student-driven as we can with this age group,” Ellis said.